Our family has always had a taste for something different on the holiday table and the Christmas goose is among one of our favorites. As our family farm continues to grow, we thought that perhaps adding geese to our property would be a boon for our holiday festivities. 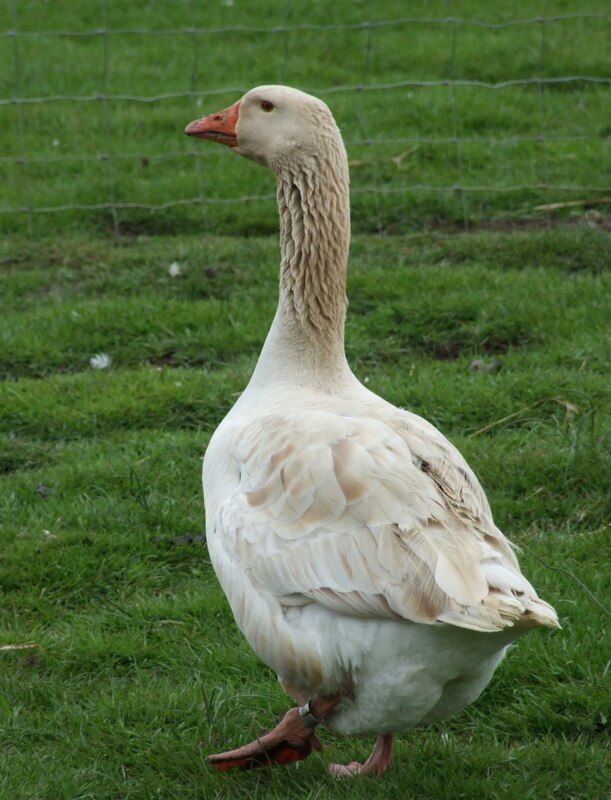 Because we didn’t want to dive head first into any major goose production, we started slowly with only three goslings and chose the American Buff breed based on its reputation for being an amicable bird. They arrived on our farm in the steamy month of July. We thought long and hard about what to call the youngsters since they were very likeable creatures whose ultimate fate was for the table. We decided upon Thanksgiving, Christmas, and New Year as a constant reminder of their purpose on the farm. Even as newly hatched goslings, their natural curiosity made them want to know everything that was happening around them. When the time came to introduce them to the outdoors, we carried them from their enclosure to the pasture so they could forage under the watchful eyes of the family (and the nearby Great Horned owls.) It became quickly apparent that we were approaching this task all wrong since the normally calm and tame birds seemed to be very “put out” when handled and moved. It was then that my husband, who was born and raised in France, remembered how his grandfather would herd geese on his farm with a couple of sticks and guide them on a walk through the field. 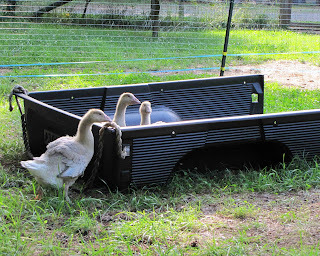 When the time came that the American Buff goslings were no longer the size of an easy meal for the owls, the birds stayed out on pasture full time and in the evening they were locked in a “goose tractor”. They lavished the green grass and to supplement they were fed a waterfowl grower feed accompanied by an ample supply of water next to their feed pan so they could dabble the food directly in it. For wading opportunities, we came up with the idea of using a bed liner from a pick-up truck that we placed on a small hill in order to create a pool with a shallow end on one side and a deep end for the birds to wade in and out of easily. The American Buffs loved the pool and water consumption was minimal compared to larger baby pools that are often used by folks raising geese. Also we learned that it is important to make sure the food is far away from the wading pool so that the geese do not dabble food in the wading area and foul the water twice as quickly as they would otherwise. Incidentally, much to our annoyance, the pool also served as a great evening perch for the Great Horned owl that would come down at night to take a drink and peek at the geese in their tractor. Time passed quickly and soon the holiday season approached. The plan was to keep the birds until the weather got cold and they put on an extra fat for the winter. This is the optimal time for processing the holiday bird so that it has ample fat and will cook properly. As farmers, we are always mindful of an animal’s purpose on our farm and each one is respected and well-cared for up throughout its life. We eat them knowing they had a great life that few animals in industry would have and that we go above and beyond to provide a good quality of life that expresses itself in the bounty on the table. 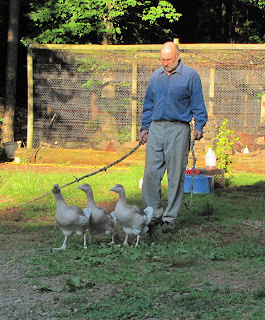 Raising a small flock of American Buff geese for the holidays is not for the soft hearted as they are such likeable and amicable creatures. But for those interested in holiday tradition and an extraordinary dining experience, you will be pleasantly surprised to learn why the goose was aptly named by chefs as the “prince of poultry." 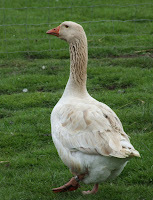 For more information about the American Buff goose, visit www.albc-usa.org.